After I got home, we loaded up the car and drove to Athens, Georgia seeing more trees down at several spots along I-20. I rode over to registration and hung out for a bit. The computrainer grid qualifiers had just finished. Then on my way biking back to Winterville where we are staying with friends, I rode through the UGA campus and took a couple pictures of the stadium. All of these pictures are in the gallery below. This entry was posted in Racing, Training and tagged athens twilight, tornado, weather on April 30, 2011 by kartoone. 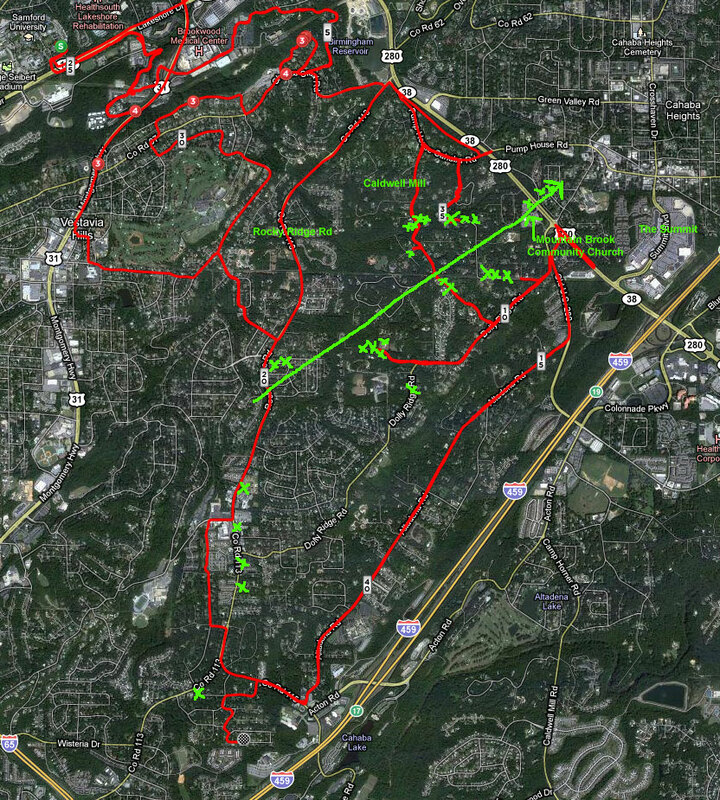 In between my morning and class and my senior presentations this afternoon at the student research showcase, I was able to bike over to Cahaba Heights and Dolly Ridge and get closer to where the tornado went through. I was only able to snap a few pics, though. Again, these pictures represent the damage from a very small, narrow tornado probably an EF0 or EF1. Imagine the damage from a much, much larger tornado with wind speeds in the EF4, EF5 range and that is what Tuscaloosa and Pleasant Grove look like. 4/28 updated damage path satellite view. The green X’s are large trees pushed over or broken in half. Many more than what is shown. These are just the ones that stood out to me. 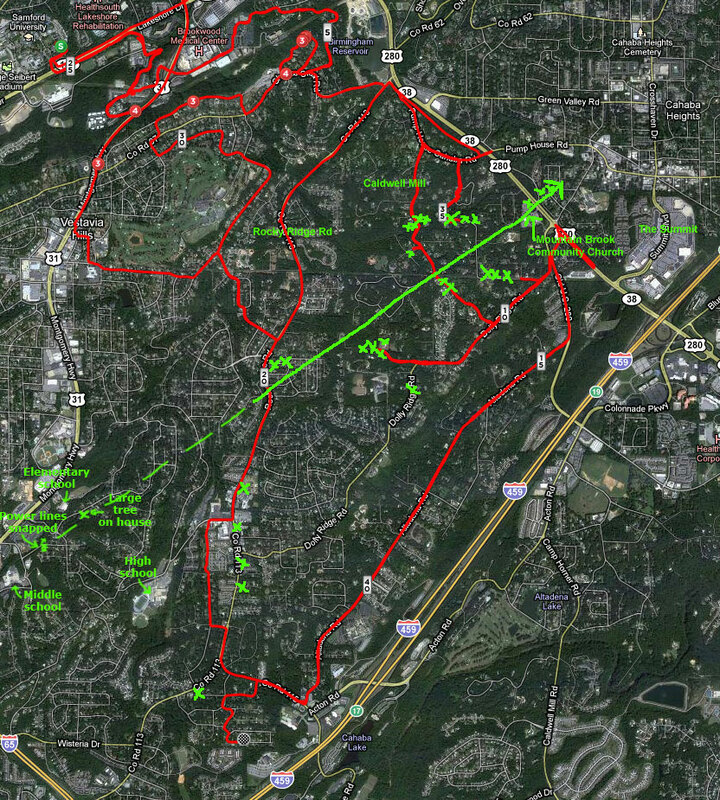 The red lines are where I rode my bike on my commute yesterday. 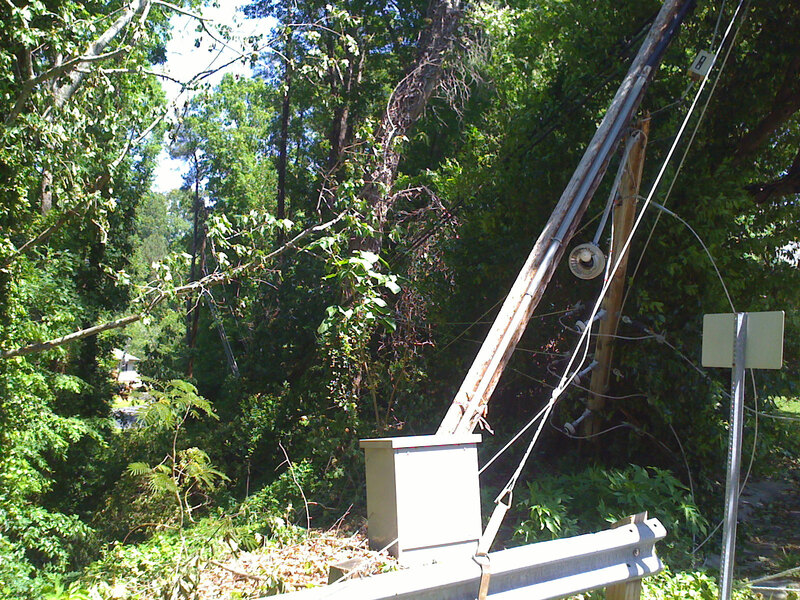 This entry was posted in Misc and tagged tornado, weather on April 28, 2011 by kartoone.